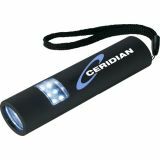 Custom flashlights make great promotional gifts due to their high staying power. 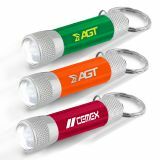 Everyone loves to keep a spare flashlight in their home, car, office and attic, which means your brand logo is going to outshine the competition in various situations. 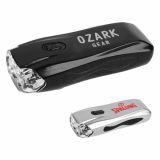 Customized flashlights can easily shed light on your business with their effortless service. 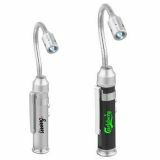 Your purchase of custom flashlight at ProImprint entitles you to receive free art setup, free design, and lowest price match guarantee. 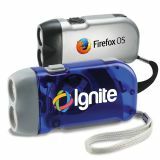 Printed flashlights are versatile gifts and they come of great use at homes and during outdoor trips, bonfire, camping, etc. 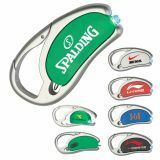 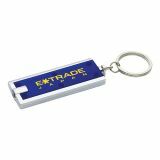 Having your company logo positioned over these logo flashlights will put your business in to the limelight. 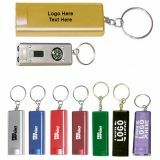 At ProImprint, you can choose from a great selection of plastic flashlights, keychain flashlights, carabiner flashlights, rubber flashlights, keytags flashlights to laser engraved metal flashlights and Mag-Lite styles. 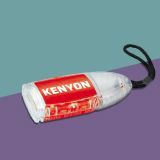 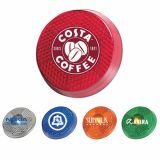 Personalized flashlights make a great employee and customer appreciation gift and they would light up your goodwill too. 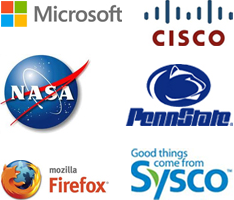 You can select depending on your branding requirements, budget and personal preferences. 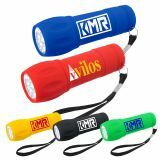 If you have some customers in the heavy industry, you can gift those swivel-headed flashlights, MagLite or multi tool flashlights. 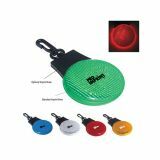 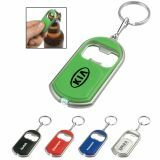 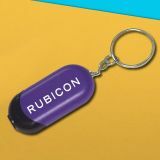 If your clients are living busy lives and habitual of multitasking, perhaps you can give them the flashlight key chains, which helps them to stay organized even during blackouts. 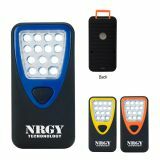 You can position your brand logo on the flashlight. 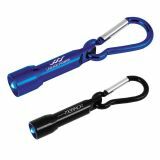 Customized keychain flashlights will help your clients understand how much you care for them. 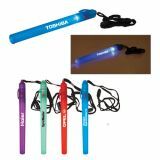 It will give them a feeling that you always wish best for them during darkness and other emergencies. 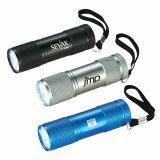 If you are targeting travelers, you should consider giving them complimentary flashlights, carabiner, or other lightweight flashlights, which they can carry in pocket or over belt loops or purses. 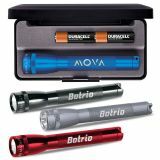 We also possess flashlights, which come of great use to people stuck with household repair. 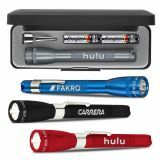 You can gift them multi tool flashlights with adjustable retractable head and screwdriver set. 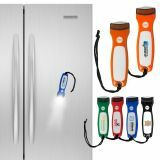 People would be happier to manage it at handy places within the home. 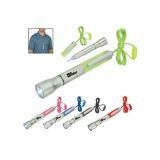 Multi tool flashlights are one of our best sellers because they easily become an asset to emergency preparedness kit. 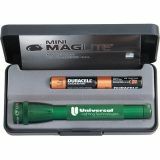 If you think our selection features battery powered flashlights, then it is a big mistake because we have solar energy powered flashlights, which are of great use during emergencies. 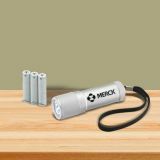 They can be given in areas affected with winter storms and power outages. 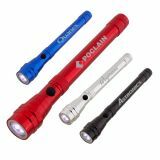 By investing in customized flashlights from ProImprint, you can easily manage to buy long term exposure for your brand logo and share the news with a wide range of people. 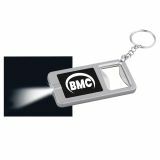 Do you wish to illuminate your brand name without overspending, feel free to contact us today at 844-776-4677 or write to us at info@proimprint.com.